Alexis started dancing at age 3. She has studied ballet, jazz, hip hop, contemporary and modern, as well as flexibility and technique classes. She began competitive dance at the age of 8 competing in Dallas, Texas. Outside of studio classes, Alexis was a drill team officer. Drill team provided her with some incredible opportunities such as taking classes in New York City, performing at Disney World, and at the annual Children's Christmas parade that is held in downtown Dallas. Born here on Okinawa, Japan, Hajime started to train at various dance studios around the island. He continued his dance, as well as his educational studies, over in California, nabbing himself a degree in Psychology and an assertion of his dance skill. In both America and Japan, Haji has performed and competed with numerous companies including Academy of Shock!, Dance Over Styles and Academy of Villains. And the number of times he's placed in the top ten at battles in both countries is too many to count, so when all is said and done, he's not someone you want to be up against. Nicole is our in house artist. You may see several of her paintings displayed in the studio. She is a big supporter of the arts, as she is passionate about painting, drawing, music, and dance. Her love of the arts began as a little girl, painting at age 12 and developing her love of theater and dance after seeing a performance of the Nutcracker. She has 10 years of dance training in both ballet and contemporary and is currently working towards her Bachelors of Education. 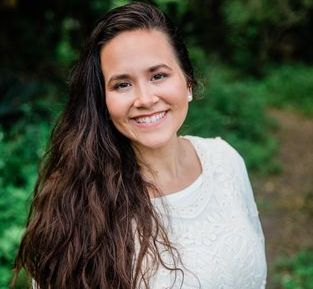 Former art instructor now dance teacher, Nicole has been assisting Mrs. Heatherly and Mrs. Lexi with our younger dancers and training as an instructor. We are happy to have her sweet, loving spirit join our staff! Kaitlan holds a Master’s in Education as well as multiple subject teaching credentials from Vanguard University of Southern California. She also has a minor in Dance in addition to completing her Bachelor’s in Education from Chapman University. 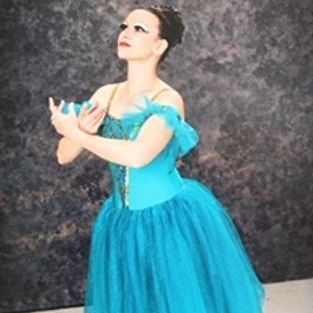 Kaitlan began dance training at an early age where she studied many forms of dance including Ballet, Jazz, Hip-hop, Lyrical, Contemporary, Modern, Pilates, and East Coast Swing at Classical Dance Center, HPB Dance Extreme, and Chapman University. She has performed in many dance competitions including L.A. Dance Magic, Showbiz National Dance Competition, and Rainbow Connection to name a few. Dancing and teaching have always been her passion. She has choreographed many dance routines, which have received notable awards during her college years. She has been a part of the Focus Dance Center faculty since 2010 and continues teaching dance enthusiasts to date at Footloose Dance Company this year. Heatherly is a dance educator with 7 years of professional teaching experience, teaching competitive students of all age levels. Heatherly has studied ballet for 22 years and throughout her life has added jazz, hip hop, lyrical, contemporary, musical theater, modern, and belly dance to her studies. During high school she was able to be a part of her various high school dance teams, which gave her the opportunity to compete in competitions all over the United States and to be a part of some exciting performances like the 2005 Gator Bowl Half Time Performance in Jacksonville, Florida. Heatherly received her AA in Physical Education K-12 from the College of Southern Idaho in 2011. While she was there she was able to pay for a part of her education with a scholarship provided by her participation with the CSI Golden Girl’s Dance Team. After receiving her Associates, she continued working towards her BA in Dance with a dance based scholarship with the University of Nebraska Lincoln. At UNL she participated in a number of master classes, some of her favorites include; The Russian National Ballet Theatre, Chicago Touring Company, Memphis Touring Company, and getting to work with artist Elizabeth Streb as she prepared choreography for the STREB pre-show. In May of 2014 Heatherly graduated with her Bachelor’s in Dance. Cerrin has been dancing since she was 2 years old, studying Ballet, Contemporary, Tap, Hip Hop, and Jazz. She took her dance education one step further and got her B.F.A in Dance Studies from Arizona State University in 2007. At ASU she graduated with multiple recognition scholarships and awards including the Outstanding Dance Studies Student Award 2007 and Arizona's Best Choreography Award 2006. She has studied with numerous dance legends, performed and choreographed for dance companies in Portland, OR and Phoenix, AZ, and taught in studios all over the world. 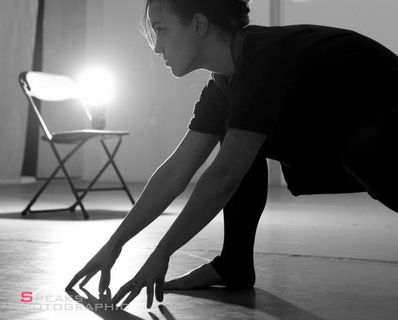 She was Artistic Director of Off-Center Dance Company Jr., Temenos Dance Collective, and is currently Co-Artistic Director of SubRosa Dance Collective. Here on Okinawa, she has taught in the American and Japanese communities as well as danced with and choreographed for FootLoose's award winning dance team "High Heels." She is noted for her consistent wins at the 6th, 7th and 8th Ryukyu International Ballet Competition. She currently teaches in Minot, North Dakota at Studio X, a nationally recognized dance training program were last year her choreography and dancers were Sr. Solo and Jr. Group national champions. Our FootLoose Assistants are special assets to our studio as they assist our instructors with our younger classes and students with special needs. These young ladies are among our studio's most kind, dedicated, and mature dancers. We strive to select assistants that are leaders in our studio and in the community who have a strong connection with our younger dancers.